Aude Konan is a London-based French Ivorian writer and former actress. 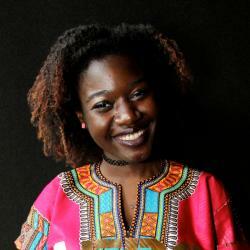 She has been published in The Guardian, Media Diversified, xoJane, Complex Mag and Amina, among others. As a playwright, her plays have been performed at the Stratford East as part as their Young Artist Lab and and with the company Talawa Young Theatre 2015. Aude write short films for production companies such as Busy Kiwi and Motionbot. Find more of her work at audekonan.com. She doesn't like writing biographies in the third person, because it makes her feel like Alain Delon (which I’m obviously not).